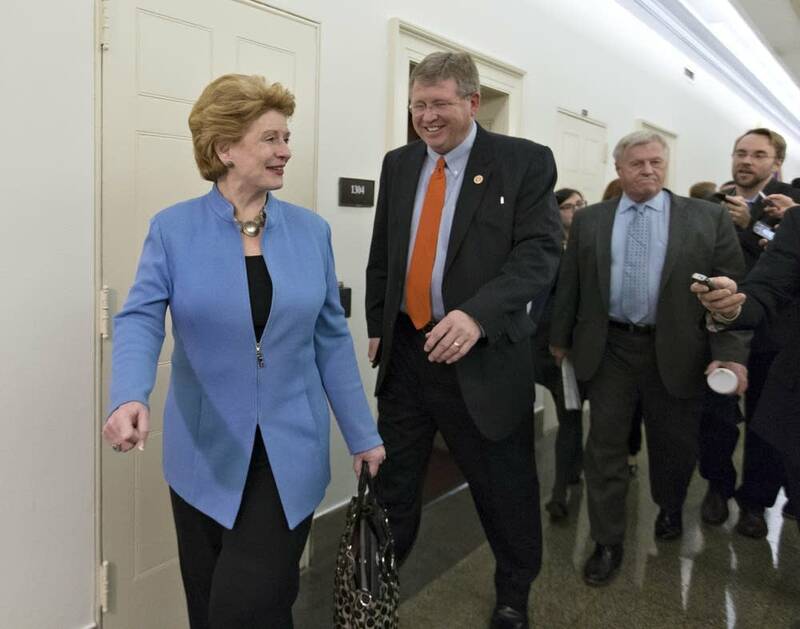 The U.S. House today passed a new farm bill, legislation that a Minnesota congressman played a central role in writing. U.S. Rep. Collin Peterson, a Democrat who represents Minnesota's 7th District, said it was the most difficult farm bill he's ever worked on. The Senate is expected to pass the farm bill next week, and President Barack Obama has said he'll sign it. In a conference call with reporters today, Peterson said he's happy with the final package. "I think Minnesota farmers fared very well," Peterson said. "I know that our folks in Minnesota that have been following this — whether they be the hunting groups or the environmental groups — are very pleased with the conservation stuff. "The beginning farmer things which came out of Minnesota are very positive, very good for us in Minnesota," he said. "So I think it's a good bill." Aid for Dairy farmers had been a key area of disagreement between House Democrats and Republicans. Peterson, who is the top ranking Democrat on the agriculture committee, wanted a program where farmers who produced too much milk were penalized. But House Speaker John Boehner, a Republican, disparaged that idea as "Soviet style." When Boehner made that comment, Peterson said the chairman of the House Agriculture Committee, U.S. Rep. Frank Lucas of Oklahoma, began to distance himself from Peterson's plan. "It became obvious to me that with Boehner out there making all this noise, that Lucas was never going to finalize this bill," Peterson recalled. He said that after urging Boehner to help him resolve the issue, they reached a compromise, an insurance program for dairy farmers. It pays off when profit margins for milk producers get too small. Funding for food stamps was another stumbling point in the farm bill saga. Republicans wanted to cut as much as $40 billion from the program and some Democrats favored no cuts at all. The final bill trims about $8 billion dollars. Peterson said food stamp fraud was one of the issues in the debate. But he said the advent of "Electronic Benefit Transfer" cards that work like debit cards has helped address those concerns. "Frankly, the majority of the fraud is not being done by the recipients; it's being done by the stores. That's where the fraud is," Peterson said. "Because with these cards you can't manipulate the system...The store has to be in cahoots with you in order for you to do it." Peterson said he thinks there is more fraud in crop insurance programs than in the food stamp program. "So this myth that there's somehow rampant abuse in food stamps is...not true," he said. "I mean when we went to these EBT cards we significantly improved the situation." Peterson also said that he has not decided whether he'll run for re-election. "What I'm going to do is take two or three weeks here to decompress," he said. "Do what I normally do in February: think about the campaign, and how it needs to be organized and what we're going to do and so forth. And announce a final decision at the end of that process." State Sen. Torrey Westrom, R-Elbow Lake, has announced a bid for Peterson's seat. Montevideo Republican Scott van Binsbergen also is considering a run.